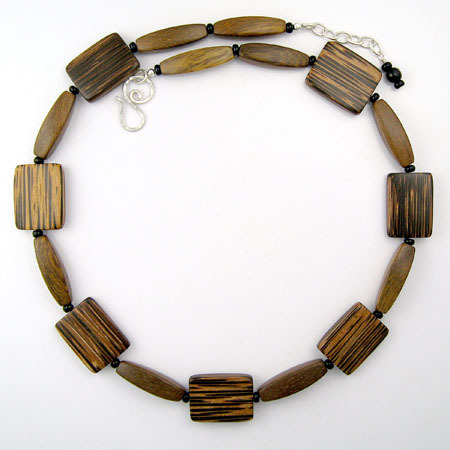 Patikan is a specific variety of hard palmwood grown in the Philippines. It has an interesting striped pattern. The older the tree the darker the wood. Patikan wood is a renewable resource. Care: Wipe with a soft moist cloth. Pearls are an organic gem that is grown in oysters or other mollusks. Pearls are formed when a foreign object makes its way into the shell and the oyster or mollusk builds up layers of nacre (also called mother-of-pearl) around it. This process can take from a few months to several years. Pearls are "cultured" when people add the foreign object to the pearl rather than letting nature take its course. Natural pearls are very rare and expensive. The majority of pearls are cultured and raised in pearl farms throughout the world. China, Japan and the South Seas are among the largest pearl-producing areas. Pearls may be either saltwater or freshwater depending on the species of oyster/mollusk and the area in which it is raised. Saltwater pearls are generally rarer than freshwater pearls and thus are more expensive. Pearls come in natural colors of white, pink, gold, lavender, black and gray; the color depends on the species of oyster/mollusk, its diet, and the area in which it is raised. Often pearls are enhanced by bleaching or dyeing. However, some dyes may fade over time. All of the pearls I use are cultured freshwater pearls. ​Pearls are a symbol of purity and are often worn by brides. Care: Pearls should be handled gently as they can be easily scratched. Store your pearls away from metal and other gemstones. Pearls should be the last thing you put on - after using lotions, hair sprays and perfumes - and the first thing you take off. To maintain their luster, wipe with a soft, dry cloth after each wearing. For a more thorough cleaning, use mild soap and water. 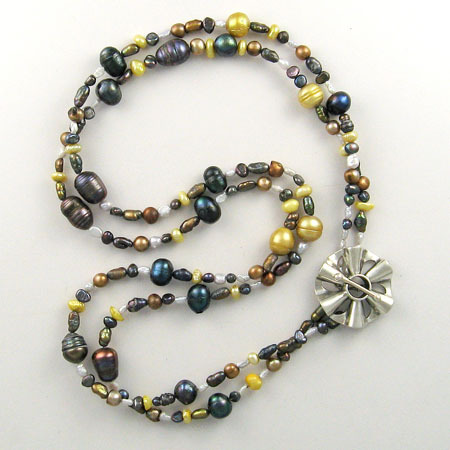 If your pearls are knotted, be sure the cord is completely dry before wearing. ridot is a beautiful yellow-green gemstone which has been mined for more than 4,000 years. Throughout time it has been confused with other green gemstones, most notably with emerald. It is believed that Cleopatra's "emeralds" were in fact deeply colored Peridot. Ancient Romans called Peridot "evening emerald" because it's green was apparent even in weak light. 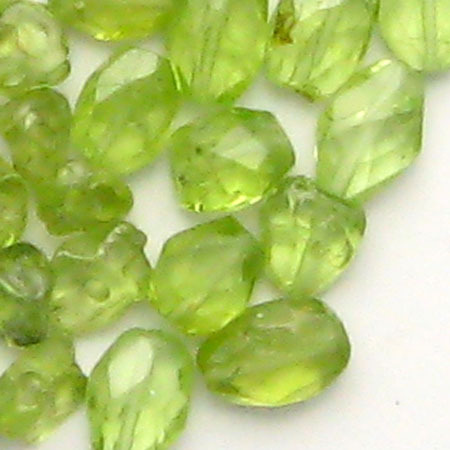 During the Middle Ages, European traders brought back large quantities of Peridot which they used to decorate their churches. One of the larges of these adorns the shrine of the Three Holy Kings in the cathedral at Cologne. For centuries it was believed to be an emerald, but recent testing has proved it to be Peridot. Peridot is the birthstone for August and the stone for the 16th wedding anniversary. Peridot is known as the stone of compassion and is believed to bring peace to relationships. It is thought to attract love and calm anger. Care: The best way to clean ​Peridot is with warm, soapy water. Do not use stem or ultrasonic cleaners as they could damage the stone. Avoid quick temperature changes or shape blows which could shatter the stone. ​This beautiful, clear stone was discovered around 1800. Its name comes from the Greek “petalon” for petal. 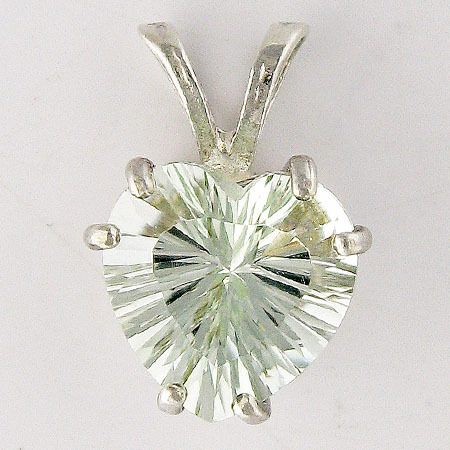 Because of its clarity, it is an excellent stone to use in place of a diamond. 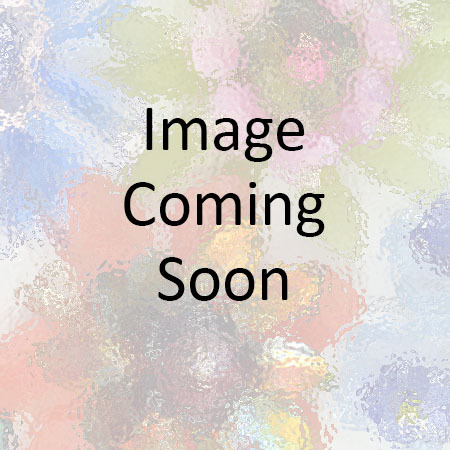 Petalite’s chemical composition is lithium aluminum silicate. Because of its lithium content, it is thought to reduce stress and worry and make you calm. It is also called “Angel Stone” or “Angel Crystal” and is thought to connect you with the angels, the spirit world and the past. The word prasiolite comes from the Greek for “leek-green stone” reflecting its beautiful green color. However, prasiolite is rarely found in nature. The majority of it in the marketplace is produced by heating specific varieties of amethyst or citrine found only in Brazil and Arizona. It is believed that prasiolite facilitates the gap between the physical and spiritual aspects of life. It is thought to attract prosperity through strengthening the mind, emotions and will. Care: Clean with mild dish soap; use a toothbrush to scrub behind the stone where dust can gather. Bohemia (now the part of the Czech Republic) has been an important center of glass making since the Middle Ages. Since 1724, the small glass-works and workshops of Bohemia produced some of the most beautiful crystal chandeliers including those in Versailles, LaScala, and the palaces of Maria Theresa, Empress of Austria. The craftsmanship and processes used to create these chandeliers were also used to make other cut-crystal items such as beads and pendants. After World War I, the small glass-making shops around Jablonec nad Nisou in Northern Bohemia merged under the name Preciosa. Glass-making methods and knowledge has been passed down from one generation to the next. Preciosa adapts these traditions to new technologies to create some of the finest crystal beads, jewelry and chandeliers. In 2013, Preciosa developed a lead-free crystal. While have the same sparkle and brilliance as leaded crystal, it meets the highest safety and environmental requirements. ​Prehnite was first described in 1788 after its discovery in South Africa. It was named after Colonel Hendrik von Prehn (1733-1785), a Dutch mineralogist and an early governor of the Cape of Good Hope colony. It is the first mineral to be named after an individual. ​Prehnite's color is usually a soft apple-green which is unique to this gemstone. It can also be found in yellow, orange and blue, but these colors are rare. ​Prehnite is known as the stone of unconditional love. It is also believed to aid spiritualization through meditation and visualization. Some think it helps sufferers of claustrophobia. ​Care: Avoid the use of harsh chemicals, perfume and hairspray when wearing Prehnite. Do not use steam or ultrasonic cleaners as they could damage the stone. Clean with mild soapy water and rinse well. Pyrite, also called fool's gold, caused a lot of disappointment during the mid-1800's gold rushes. 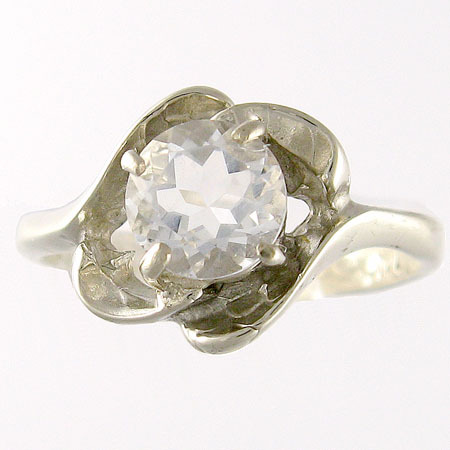 The name pyrite is from the Greek meaning fire as it produces sparks when struck with steel. Chemically it is iron sulfide. It's found in Colorado in the US as well as in Peru, Bolivia, Mexico, Romania and Sweden. 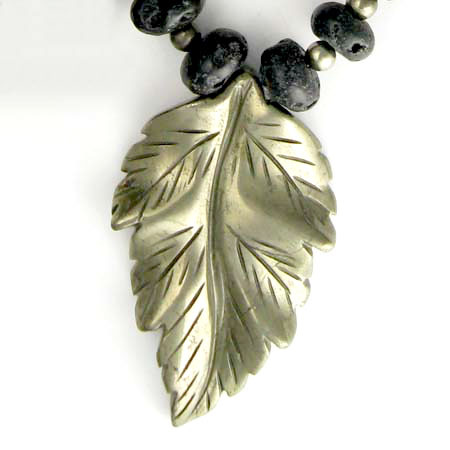 Pyrite has been used for jewelry and other ornamentation for thousands of years. The Incas made mirrors out of large slabs of it and North American Indians used it to make amulets. It is used to foster intelligence, mental stability, and analytical ability. 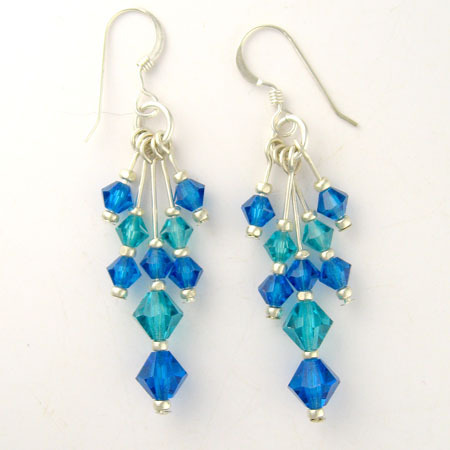 I like the way it's soft gold luster works with many gemstones.